The ongoing debate about the Trident replacement programme is as much about saving face with the UK's international allies and sustaining the UK’s nuclear-powered submarine building capacity, as it is about the cost of any replacement or renewal programme. 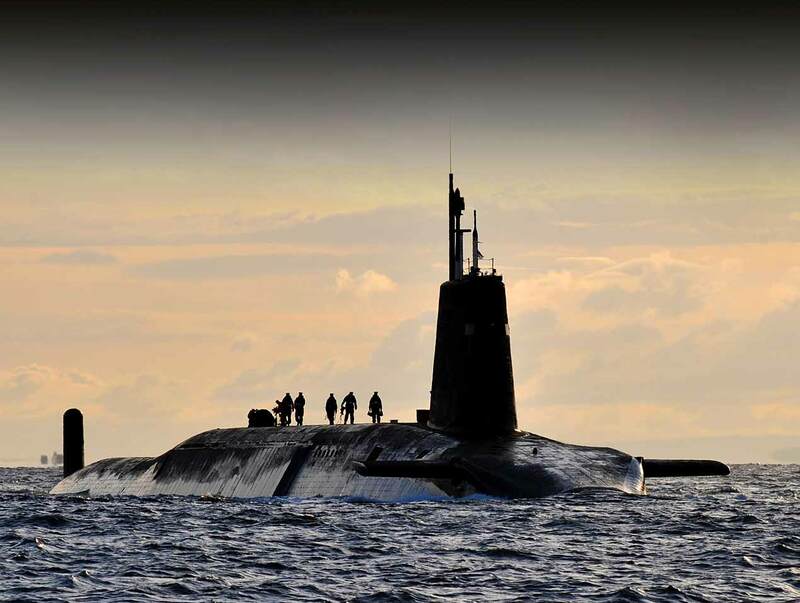 The 2015 Strategic Defence and Security Review (SDSR) essentially reaffirmed the commitment of the current Conservative government to renew the United Kingdom’s submarine-based nuclear force and maintain a continuous at-sea deterrence (CASD). However, it also revealed detailed changes which are affecting the public discourse over the programme, including whether or not there are viable alternatives. Other important changes include the abandonment of what has become the traditional Main Gate approach to deciding to proceed with key defence projects in favour of a new phased investment programme. The SDSR also confirmed the establishment of a new team in the Ministry of Defence (MoD) to oversee the programme, and the creation of a new delivery body. It is not necessary to read between the lines of the SDSR to detect official concerns over whether the project can be run effectively. It clearly states that “improvements are required to deliver this national endeavour,” which it equates in scale to major UK rail projects like Crossrail or High Speed 2. Developments beyond the scope of the project itself have also been shaping the debate about it. Supporters of maintaining a nuclear capability point to the re-emergence of concerns about Russia. Opponents point to the recent nuclear deal with Iran as showing that the spectre of nuclear proliferation can be reduced through diplomacy, and argue that the evolving threat from Islamic State (IS) underscores that the real security risks facing the United Kingdom are not ones susceptible to traditional concepts of nuclear deterrence. The domestic political landscape has also shifted. The Labour Party leader, Jeremy Corbyn, has a long record of opposition to nuclear weapons, and instigated a review of party policy on the issue. Ahead of UK elections on the 8 June, the Labour Party has rejected speculation that it would shut down Trident if elected, however, Corbyn remains committed to a nuclear-free world. The prospect of a revived bid for Scottish independence, with the main operating bases for the nuclear force situated in Faslane, Scotland, adds further uncertainty—not least whether those bases could realistically be relocated to another part of the United Kingdom, over what time period and at what cost? All this is popularly referred to as the debate over “Trident's replacement”. In fact, the Trident ballistic missiles that are at the heart of the system are not being replaced, at least not until the 2040s. Likewise, their nuclear warheads do not need to be replaced before the late 2030s at the earliest. What is at issue is the need to replace the current force of four Vanguard-class ballistic missile submarines, the first of which entered service in 1994. Hence the government’s dogged determination to refer to the project as the Successor programme, as the new submarines are dubbed. The United Kingdom has always been more self-conscious than any of the other traditional and acknowledged nuclear powers about its continuing nuclear status. Hence, every renewal of the capability has provoked anguished debate. The government and other supporters of maintaining a nuclear capability cite the uncertainty over what the threats will be, particularly in terms of weapons of mass destruction, over the next 50 years, which is the operational life span of the Successor programme. Those in favour of unilateral disarmament argue that a supposed nuclear deterrent force is ineffective in an age of IS and other non-state threats; that the United Kingdom should set a disarmament example; that there is a moral case for the country to divest itself of nuclear weapons; and that the Successor programme is a huge and growing waste of resources. But there has also been heated debate over whether there are alternatives to the Successor programme and CASD (again, often termed a “like-for-like” replacement of the current Trident forces, although Successor will deliver a very different level particularly of operational warheads from what was envisaged when the current Vanguard class was ordered back in the 1980s). For many, its successor is seen as a “gold-plated” capability. Among alternatives, which have been advocated and explored, are land-based ballistic missiles, nuclear-armed cruise missiles launched either from aircraft, surface ships, or submarines, or aircraft-delivered free fall bombs, which could include a reduced alert posture. As part of the Conservative/Liberal Democrat Coalition Agreement, it was agreed that the Liberal Democrats could pursue an alternatives review. The results of that review suggested that the options studied did not deliver significant financial savings because of the resources and time required to develop a new delivery system and associated warhead design and the need to procure two new ballistic missile submarines, anyway, to fill the gap between the retirement of the Vanguard class and the arrival of the alternative. All the options offered a reduced operational capability. In the end, the argument emerging from the review revolved around whether it was acceptable to have a reduced deterrence posture, abandoning CASD in favour of a smaller (and slightly cheaper) force of ballistic missile submarines. However, critics argued that this did not deliver a credible deterrent capability, and that attempting to deploy nuclear-armed submarines at a time of rising tensions rather than maintaining CASD would actually be destabilising. The review received widespread criticism. However, the changes in the Successor programme revealed in the 2015 SDSR are unlikely to alter significantly the basic assessment of the relative costs and benefits contained in it. What the changes, particularly in the costings of Successor, may do is add to the concerns of what might be described as the “soft support” for the programme—those in favour of a continued nuclear capability, but not at any price, and particularly not at a price that squeezes out other conventional defence capabilities. However, supporters of the Successor programme argue that any savings from abandoning it are unlikely to be directed back into the conventional defence equipment budget and that once the nuclear capability has been given up, there would be no going back. There is one key potential technical vulnerability which has surfaced as an issue recently in the Trident debate. Unlike its nuclear power peers, the United Kingdom, relies on just one nuclear delivery system. And, traditionally, submarine-based forces have been considered the most secure and invulnerable. But this does represent, potentially, a “single point of failure.” And, increasingly, it is being suggested that advances in maritime surveillance systems—for example, constellations of unmanned, underwater surveillance 'drones'—will make the oceans dramatically more transparent during the lifetime of the Successor submarines. However, many in the submarine community remain sceptical. They argue that such unmanned systems may offer significant advances in underwater detection at relatively short ranges in specific tactical situations, but not for 'trawling' the deep oceans for solitary, very quiet patrolling ballistic missile submarines. And all the other acknowledged nuclear powers are pursuing or exploring new submarine programmes as part of their nuclear force development. Any abandonment of the Successor programme by the United Kingdom would also have one specific impact on relations with its key ally, the United States. The two countries are engaged in a joint effort to produce a Common Missile Compartment for their next generations of ballistic missiles submarines. Trident II ballistic missile launch from a Ohio-class submarine goes wrong, disintegrating soon after launch. The Successor programme is also integral to sustaining the UK’s nuclear-powered submarine building capacity. Without the Successor programme, there would be a major question mark over whether and, if so, how to sustain that industrial base, and thus how to support the Royal Navy’s broader submarine capabilities in the future. At the same time, as had been mentioned already, the SDSR makes it plain that the government does not think that the industrial base is in the best of health at the moment. A key issue will be whether the new arrangements being put in place to manage the Successor programme will solve some of the outstanding problems. One further challenge resulting from the latest revisions to the programme is that the Vanguard class will be now required to soldier on significantly longer than originally planned. Their service lives have already been extended twice. Whatever the declared policy, this will increase the practical strains and challenges of maintaining CASD in the late 2020s and into the 2030s until the new submarines are available. The government has already spent nearly £1 billion on the concept phase of the programme, and over £3 billion has already been allocated to the current assessment phase, with a further £600 million due to be contracted in the coming months. Ministers have also said there will be a new debate in parliament on the principle of continuing the programme. There have been three House of Commons votes so far in favour of the programme since it was initiated back in 2007. Nick Childs is a senior fellow for Naval Forces and Maritime Security at the International Institute for Strategic Studies in London. Before joining the Institute, Nick Childs was a BBC journalist for more than 30 years, specialising in covering defence, security and international affairs. His last appointment was as a BBC World Affairs Correspondent. He was also the BBC's first Pentagon correspondent. He has written two recent acclaimed books on the modern Royal Navy, as well as numerous articles for various defence think tanks, journals and magazines, and has presented papers and moderated sessions at various security conferences.